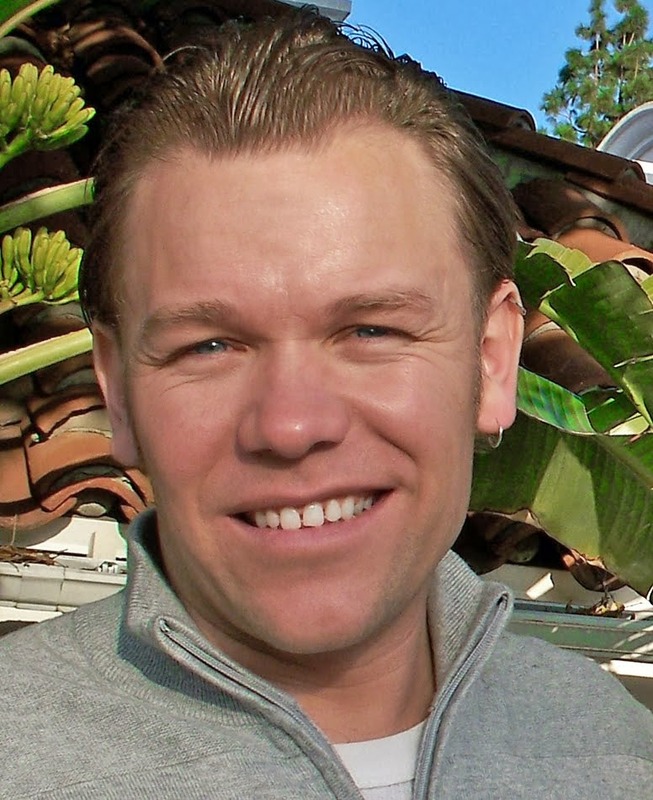 Blogspot for writer, Eric J. Guignard. 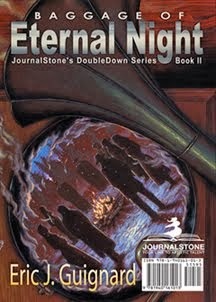 : Amazing highlight writer’s day yesterday - Bram Stoker Award Prelim Ballot and Book Signing! 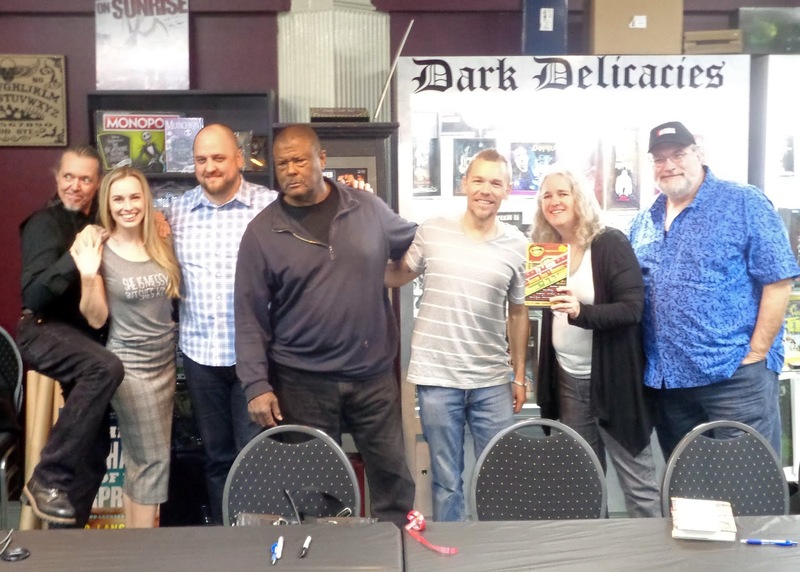 Amazing highlight writer’s day yesterday - Bram Stoker Award Prelim Ballot and Book Signing! What an amazing highlight writer’s day yesterday! 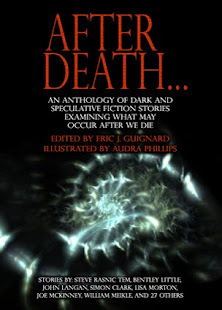 Discovered that I received two listings on the Preliminary Ballot for the 2018 Bram Stoker Awards®, one in anthology (A WORLD OF HORROR, through Dark Moon Books), and one in category of Fiction Collection (THAT WHICH GROWS WILD through Cemetery Dance Publications), which is my baby!!! 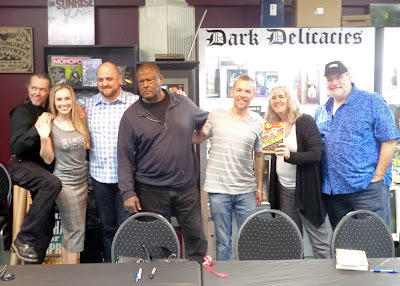 And THEN I got to sign books at the most prestigious horror bookshop in Southern California, Dark Delicacies for the release of my newest anthology, POP THECLUTCH with THESE PEOPLE! I may have set the bar too high for the rest of 2019—don’t know if I’ll be able to top yesterday. Just great warmth and inspiration all around. 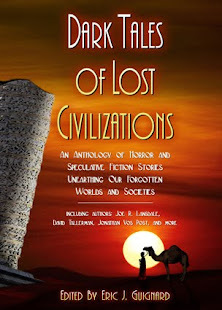 Thanks so much to Del and Sue Howison for hosting, and for Lisa Morton, Duane Swierczynski, Kasey Lansdale, David J. Schow, and Gary Phillips for being a part of this book and signing, along with Jonathan Maberry who signed his most recent release, BROKEN LANDS, while taking a few minutes out from working on NINE other novels!! And special thanks to Eric Miller and Thomas C Raymond for dinner afterward!